Step 1: First we will prepare the pumpkin melt for the top of the candle. Weigh out 1 ounce of Pillar of Bliss Candle Wax. Step 2: Put the pillar wax into a pouring pot. Using the double boiler method as described in one of our classes, melt the wax on low on the stove until the wax is completely melted. Get the mini pumpkins mold ready. Step 3: Using a toothpick, dip the toothpick into the orange liquid candle dye. Then, dip the toothpick into the melted wax. Mix well to incorporate the color. Step 4: Place your pouring pot on your scale. Add 0.1 ounce of Pumpkin Pie Spice Fragrance Oil to melted wax and stir. Step 5: Pour the melted wax into one cavity of the silicone pumpkin mold. Once it has set up completely, pop it out of the mold. Set aside for now, you will need it later. Step 6: Next, prepare the pie crust portion of the candle. Weigh out 4 ounces of Joy Wax. Add to Joy Wax to a pouring pot. Use the double boiler method explained in one of our classes, melt the wax on the stove until it is melted. Step 7: Add one drop of brown liquid candle dye and use a toothpick to add a small amount of yellow to the wax. Stir to incorporate the color. Step 8: Place the pouring pot on your scale. Add 0.4 ounces of Pumpkin Pie Spice Fragrance Oil to melted wax and stir. Step 9: Using your hot glue gun, adhere two CD-12 candle wicks to the bottom of your apothecary jar. You will want to make sure they are equally spaced and centered. Step 10: Carefully pour the pie crust layer. You want to be sure the wax does not splash on the sides of the jar. I find pouring the wax slowly, towards the center of the jar lessens the likelihood of splashing. Allow this layer of wax to completely set up at room temperature. Step 11: Prepare the pumpkin pie portion of the candle. Again, using Joy Wax and a double boiler, weigh out and melt 10 ounces of wax. Step 12: To create the pumpkin pie color, add two drops of orange dye, one drop of yellow liquid dye, and one drop of brown liquid candle colorant. Again, stir to incorporate the color. Step 13: Now, add 1 ounce of Pumpkin Pie Spice Fragrance Oil to the melted wax and stir. Step 14: Carefully pour the melted candle wax into the jar. Make sure that the candle wicks are straight. Allow the candle wax to set up before moving to the next step. Step 15: Prepare the whipped cream portion of the candle. 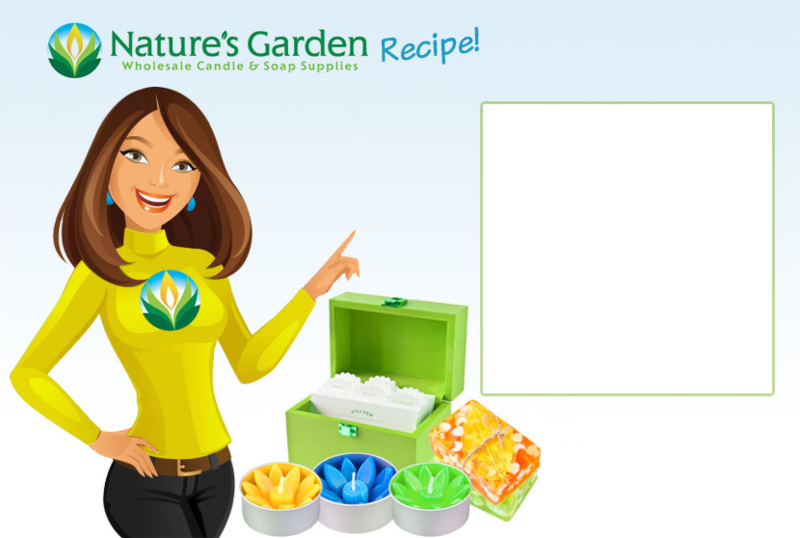 As you have done in previous steps, weigh and melt 8 ounces of Joy Wax. Step 16: Place your pouring pot on your scale. Add 0.8 ounces of Pumpkin Pie Spice Fragrance Oil. Stir to incorporate the pumpkin scent. Step 17: This time let the wax set up a bit before topping the candle. You want the wax to be slushy in appearance. Then, mix the wax until it is a thick, fluffy frosting consistency. Step 18: Using a spoon, place the wax on top of the pumpkin layer, use the spoon to make it look like whipped cream on top. Step 19: Quickly place the pumpkin embed you created earlier on top of the whipped wax. Allow the candle to set up at room temperature. Once cured, your candle will be ready to burn. Enjoy!